The software for the e-passports has been designed by IIT-Kanpur and National Informatics Centre (NIC). The new Indian e-passports will come with 64KB storage and will be capable of storing information of 30 international visits. 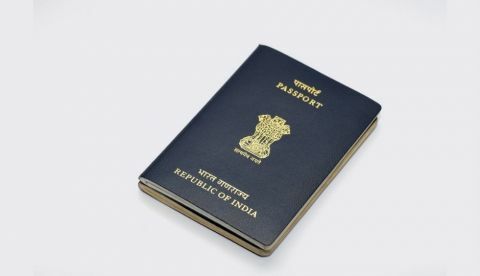 Indians will soon be getting e-passports which will store their personal information as well as details of 30 international travels on a chip embedded within the passport booklet. Speaking at the recently concluded Pravasi Bhartiya Divas, Prime Minister Narendra Modi said that Indians will be issued these new e-passports soon and that the government has approved the procurement of contactless inlays for the making of e-passports, which will be manufactured by India Security Press (ISP), Nashik. These electronic inlays are flexible and are designed to withstand the natural wear and tear that occurs while travelling. The new e-passports in India will have thicker front and back covers to accommodate electronic inlays and a postage stamp-sized chip. The purpose of these digital passports is to avoid tampering, fraud and creation of fake passports. If the chip is tampered with, it will result in failed authentication of the passport. The only way the chip could potentially be compromised is if one had physical access to the passport. Another advantage of e-passports will be quicker immigration, since information stored on them can be read with just a quick scan. Further, these new Indian e-passports will be able to store information of 30 travels using 64KB of storage. Photographs of passport holders are also expected to be stored on the e-passports and there is even talk of storing fingerprints eventually. Reportedly, a technical committee headed by the Director General of National Informatics Centre (NIC) created the security guidelines for writing information to the chip. The software for these e-passports has also been created by NIC and IIT-Kanpur. For the first time, testing of these e-passports was done in US Government labs. The production of e-passports by ISP, Nashik will begin once the procurement of electronic inlays compliant with International Civil Aviation Organisation (ICAO) guidelines is completed. ISP, Nashik has been authorised to float international tenders for the same. It is reported that government officials and diplomats will be issued these new e-passports before they are rolled out to the public. will moto E get android L update in future ? How to get root acces?